Germany held a general election on September 24, where the composition of the next legislature was determined; now a government will be formed and a chancellor elected. MOSCOW (Sputnik) - German Foreign Minister Sigmar Gabriel on Friday warned against forming a minority government in Germany, suggesting that it might cause an "earthquake" in Europe. The move comes as Germany struggles with a major political crisis that may undermine its status as Europe's leading power. For the past couple of days, Germany has experienced an unprecedented level of political turmoil that has seen the collapse of Angela Merkel's efforts to form a ruling coalitional government, even putting the Iron Frau's fourth term as Chancellor at risk. German Finance Minister Wolfgang Schaeuble has reportedly been asked by Angela Merkel to become Bundestag President. 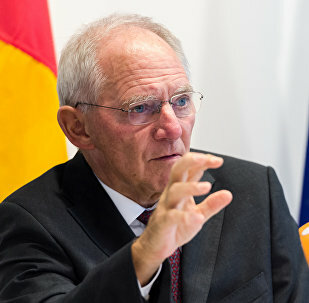 Merkel's expected coalition partners have already expressed interest in Schaeuble's job at the finance ministry. 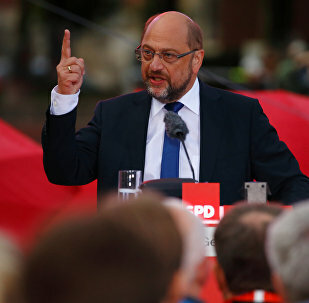 Germany's federal election on Sunday revealed a decline in support for the two centrist parties which have taken turns ruling the Federal Republic since its establishment in the 1940s. Sputnik spoke with experts on Germany, who addressed the possible reasons for such a phenomenon. The German federal election turned out to be historic: for the first time since 1950 six parties have won seats in the parliament and for the first time since the end of World War II a right-wing party has entered the Bundestag, coming third with 12.6 percent of votes. German historian Dr. Jochen Staadt explained the people's choice to Sputnik. Russian President Vladimir Putin talked by phone with German Chancellor Angela Merkel on Tuesday, congratulating the German leader on her election success and confirming readiness to continue mutually beneficial cooperation. The leader of the Alternative for Germany (AfD) party, Frauke Petry, announced on Tuesday the decision to resign from her post after the party had won over 12 percent of votes in the German general election, German media reported. Russia hopes that new German government will remain focused on restoration of political dialogue and mutual trust between the two states, Russian Ambassador to Germany Vladimir Grinin told Sputnik on Monday. 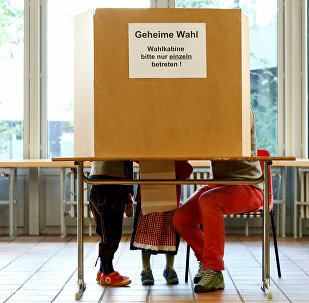 Representatives of Russian Germans living in Berlin told Sputnik they voted at Sunday's parliamentary election for conservative right and center-right parties, namely the right-wing Alternative for Germany (AfD) and Chancellor Angela Merkel's Christian Democratic Union (CDU). Supporters of the Patriotic Europeans Against the Islamisation of the West (PEGIDA) are holding a rally in the German city of Dresden - a day after the historic success of the right-wing Alternative fur Deutschland party which came third with 12.6 percent of the vote. 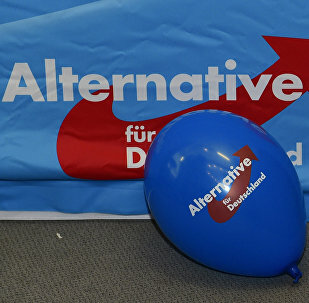 The post-election protests in Berlin against the right-wing Alternative for Germany (AfD) party, which is set to enter the parliament for the first time, were likely organized by one or several mainstream parties, AfD member Albert Breininger told Sputnik Monday. The Alternative for Germany (AfD) was triumphant in this past weekend’s election, supporting the expectations of economic reform, and a rebalancing in the nation’s domestic and foreign policies. 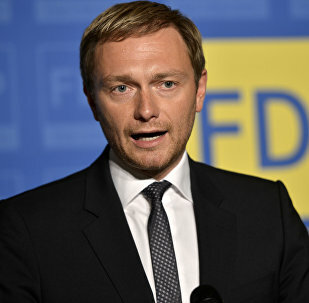 Christian Lindner, the leader of Germany’s Free Democratic Party (FDP) that has got 10.7 percent in Sunday's general election, has called for the resumption of the dialogue with Russia in the G8 format to check if Moscow is ready to change policies. 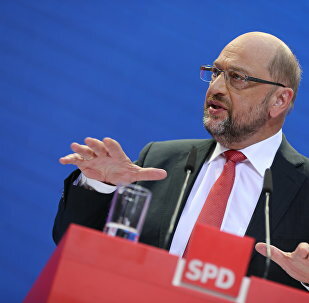 The leader of Germany's Social Democratic Party, Martin Schulz, held a presser after winning 20.5% votes in the general election on Sunday. A group of activists - and an elephant - have launched a campaign calling for national referendums to be held before big political decisions are made. 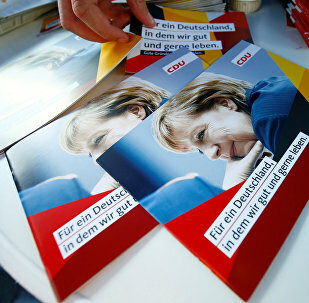 German Chancellor Angela Merkel held a press conference after her bloc CDU/CSU won the parliamentary election. Russian President Vladimir Putin will give any comments on the German federal election results after results are summed up, Kremlin spokesman Dmitry Peskov said Monday. 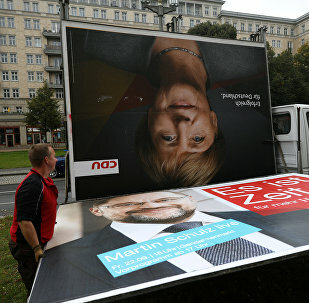 Germany's elections have send shockwaves through the political establishment as the main parties recorded their worst results since the immediate postwar era. The Alternative for Germany (AfD), which came third in the general election in Germany on Sunday, is not going to form a coalition with any political party in the Bundestag but is ready to work with The Left Party to remove anti-Russian sanctions, the co-chairpersons of the party said on Monday.